A Delaware man was indicted by a Delaware County Grand Jury Friday and charged with aggravated robbery and aggravated burglary for allegedly robbing the Old Bag of Nails in downtown Delaware in January. 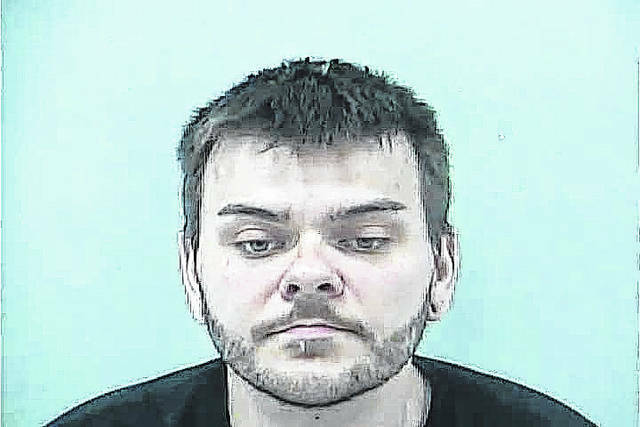 Joseph Anthony Nappi, 33, of Delaware, was indicted Friday and charged with aggravated robbery and aggravated burglary, first-degree felonies in connection with the Jan. 8 robbery. Prosecutors said police were called just after 9 a.m. when a man in a ski mask entered the restaurant. City of Delaware Police Capt. Rob Penrod said police quickly responded to the scene and were able to preserve crucial evidence. Penrod said the employee’s car was located parked on a street in the northwest part of the city later that same day. Penrod said Nappi was taken into custody at his place of work on April 4 without incident. Nappi appeared in Delaware Municipal Court Thursday where City of Delaware Municipal Court Judge David Sunderman set his bond at $50,000. According to the Ohio Revised Code, the potential penalties for a first-degree felony are between three to 11 years in prison and a fine of up to $20,000. Nappi was in the Delaware County Jail Friday afternoon.